1. A one-layer card is defined as a single piece of card stock folded in half. NO other layers allowed. 2. 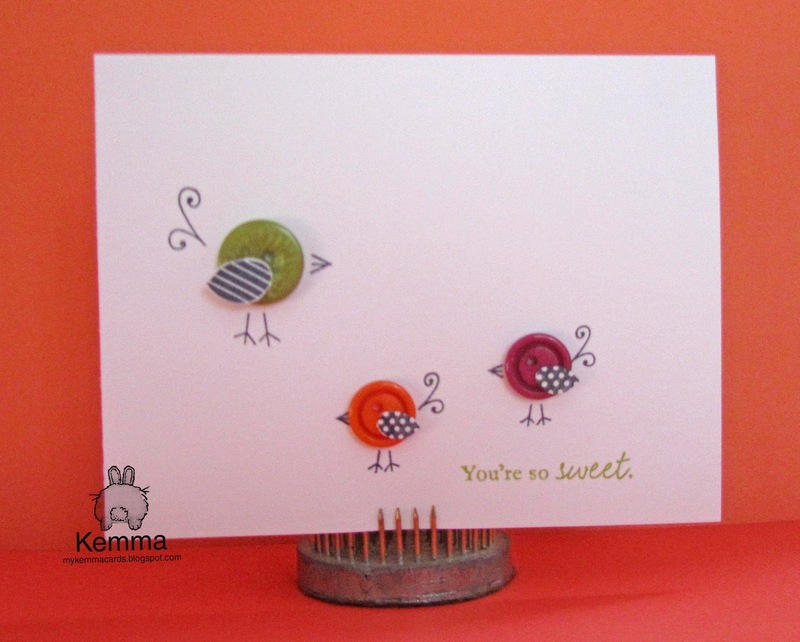 Make a card with a "sweet" image. Embellishments should be kept to a minimum. 3. Upload your creation somewhere on the Internet, and then link to it using the InLinkz button at the bottom of this post. Please make sure to link directly to the card and not just to your blog so people will be able to find it easily! Here is my interpretation of the below challenge. 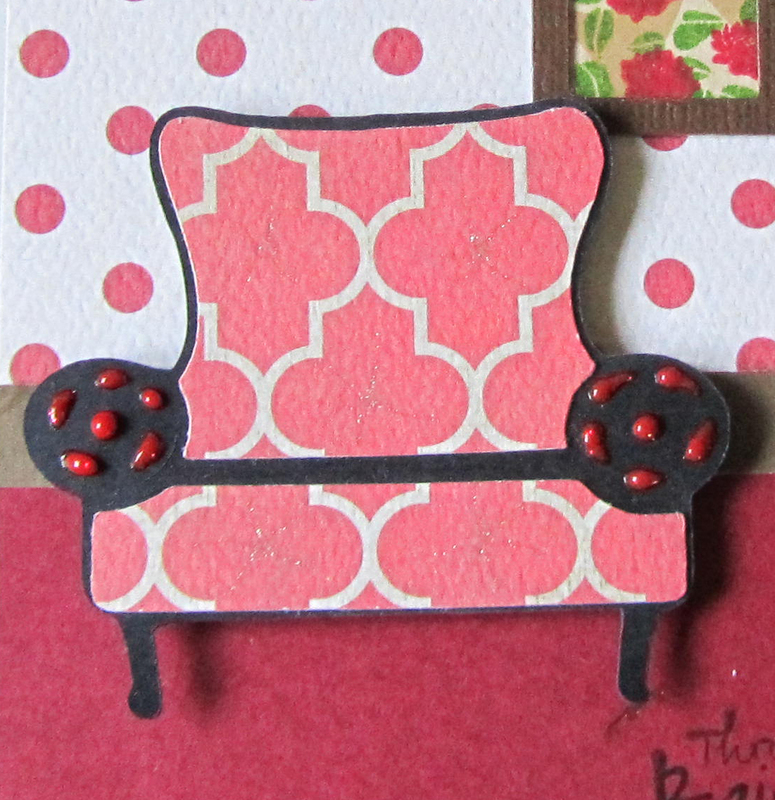 I also used black and green cardstock scraps, pop dots, my xyron sticker maker and zig 2 say glue. This months inspiration is a unique color scheme that has been popping up everywhere this spring. A bright green (Simply Chartreuse or New Leaf) paired with bold black & white patterns. Think gingham, argyle, checks or stripes. Really mix things up and enjoy the creative process! We look forward to seeing your creations today! You have until 11:30pm EST tonight (May 25th) to add your link to this list. THREE random participants will be selected to win a $25 PTI Gift Certificate to spend however they choose. They will be announced and highlighted here, on my blog, tomorrow morning. We look forward to seeing all of your creations! 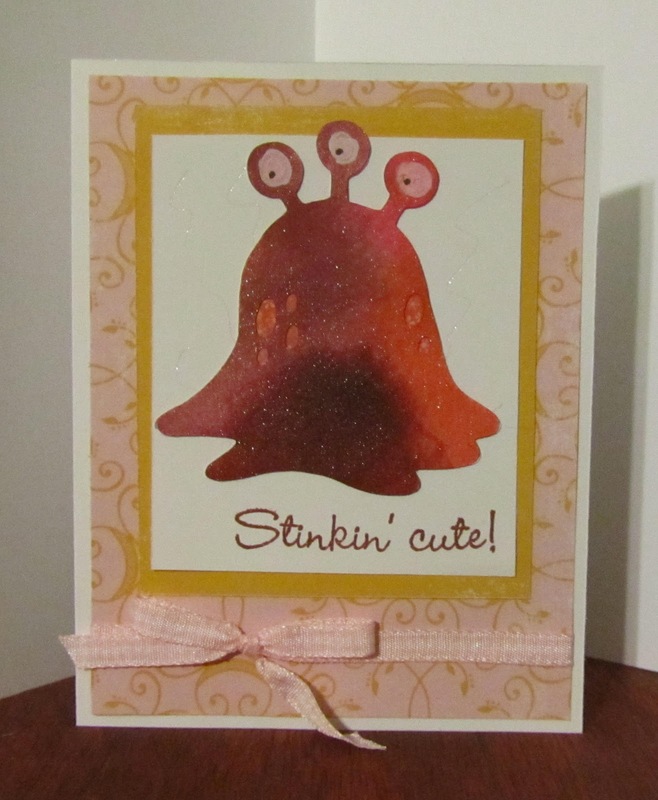 Pinkalicious - use your favorite shade of pink and add satin -- either flowers, ribbon or fabric. Here is my take on this fun challenge! I used Mini Monsters Cricut Cartridge for the fun little 'stinky' guy, and the under layer, which is hard to see here, is printed with Blast Off pattern on the Imagine. On the top layer, originally I had it white, then decided to get out several of my Papretrey Inks and smudge him up! I drew stinky lines around him with a sparkly gelly roll pen. Then I used a pretty satin ribbon to finish this card off. 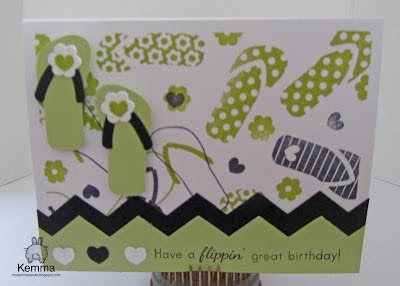 Welcome to Paper Crafting World and Cooking with Cricut's Blogaversary Blog Hop! 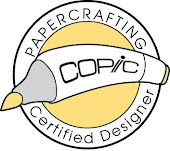 Our Design Teams are so excited to bring you a two-day hop that focuses on projects honoring a second anniversary…..cloth, crystal and or glass. We think you will be blown away by some of the super creative inspiration and interpretation of our designers. So be sure to come back both days as each day will be a different set of designers and projects! PLUS, this hop is the kick off of our week long celebration! Each day for a whole week we will be brining your fabulous projects made by our designers and each day we will be giving away free vintage graphics, digital printables and or electronic cutting files! So you will want to make CWC-PCW a daily stop for the next week! You should have arrived here from visiting Linsey. If you’ve joined us in mid-Hop and would like to check out all the other fantastic projects head on over to CWC-PCW and start at the beginning. 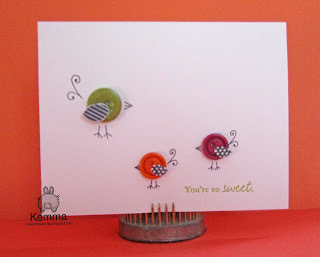 What a great incentive to think outside the box for this blog hop. I created this card using the Love You A Latte cartridge for the comfy chair, and the Cricut Craft Room to create the window with several plain rectangle shapes. 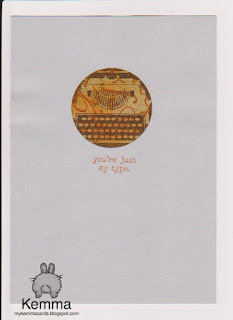 The stamp says, "through Rain or Shine you'll always be mine." Here are some close ups of the details of this card. I used the acrylic sheet that some stamps came on for the 'glass' of the window. 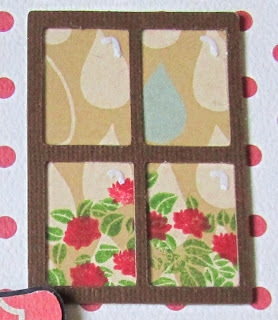 Behind the window is a raindrop paper, with a flower bush stamped on it using Papertrey Ink stamps. 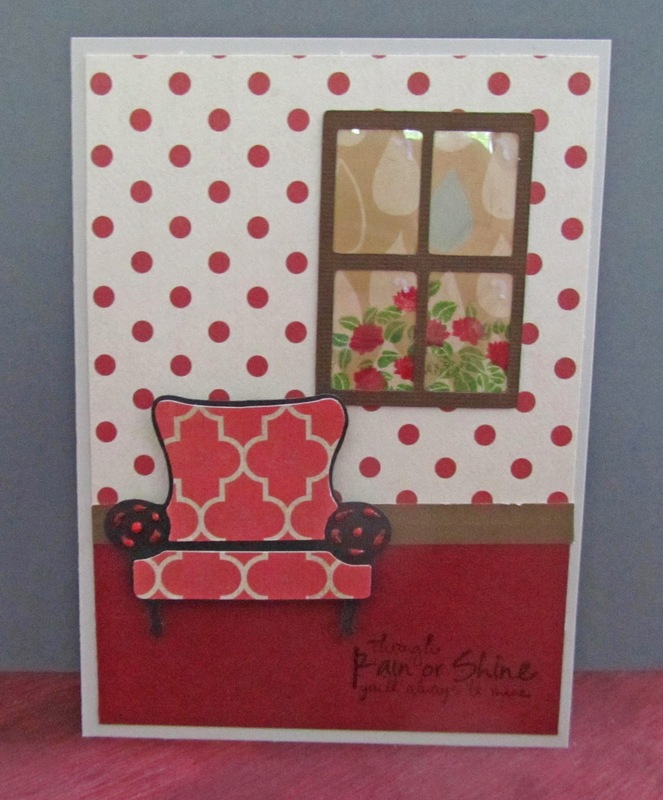 The paper is actually just one patterned paper, a Teresa Collins print, using both sides. 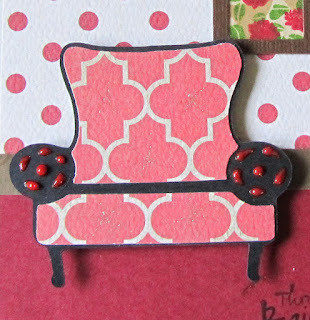 The chair is popped up with some popdots, and I used a Viva Decor pen to give the arms some dimension. There are several prizes to be won so be sure to head over and join the fun at CWC-PCW . 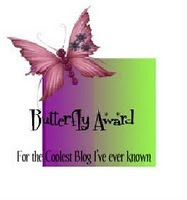 There is a “cloth, crystal or glass” challenge you can enter to win as well as other super blog candy just for being a follower and commenting, so don’t miss out! 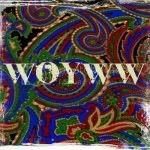 Head on over and check out what Court has cooked up! Thanks for cooking with me! This week's challenge is for Brandon who is 4 years old and was in a tragic accident. His story is here. I thought I would do something a little different, since Brandon will be getting a lot of cards with this project. 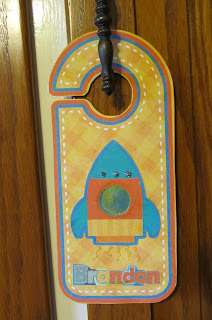 So I made him his own door hanger, that he can hang anywhere. I made it two sided and used Cricut Imagine Blast Off cartridge on white cardstock, some Viva Decor under a piece of clear plastic in the spaceship window, and some stickles for accent. 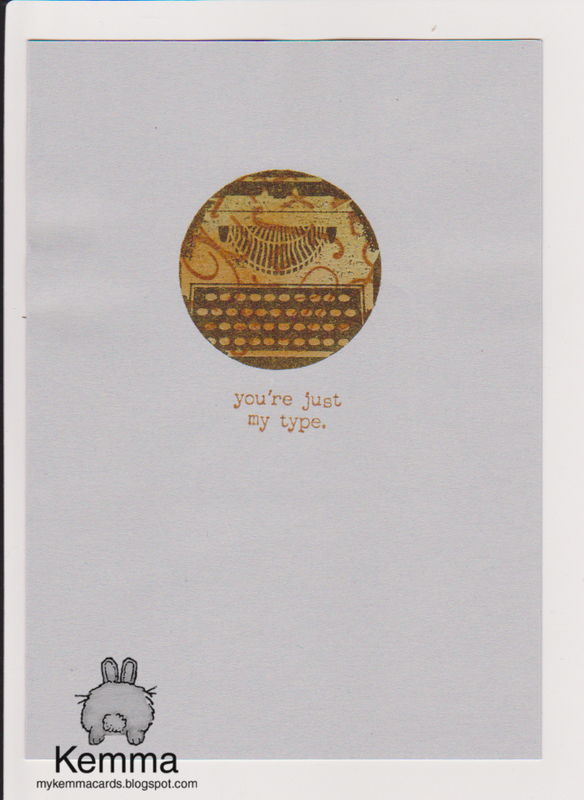 I was trying not to make it too thick so it can easily be mailed in a business size envelope. I sure hope he likes it! !